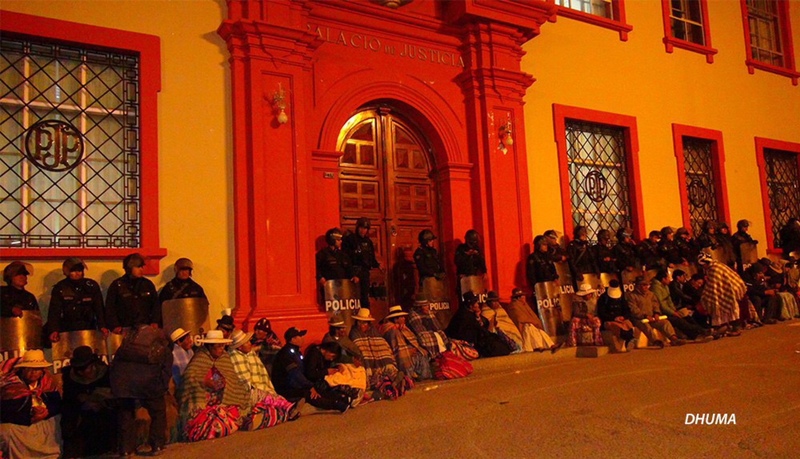 Criminalization of the Aymara People - Supreme Court Will Decide on Aduviri Case on October 5th. 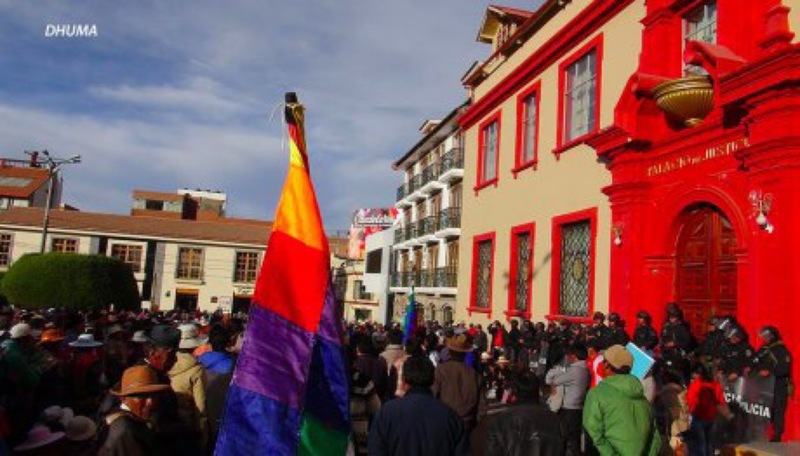 (Puno, Cochabamba, Ottawa, Washington) On Monday September 17th at 0900, a hearing took place at the Supreme Court in Lima, Peru to analyze the case of Walter Aduviri, the last Aymara spokesperson charged in relation to the case known as the Aymarazo. The Court must decide whether or not to annul the 7-year sentence against him. Aduviri's lawyers and representatives of the Ministry of the Interior were present at the hearing. The hearing lasted for an hour and a half, after which it was revealed that the final sentence will be handed down on October 5th, 2018 at 0830. The indigenous representative is currently in hiding because there is a warrant for his arrest. More than one hundred national and international organizations have publicly denounced the criminalization of protest in Peru. The case of Aduviri is emblematic of the widespread judicial persecution and generalised criminalization faced by spokespersons and representatives of communities that organize to defend their territories against extractive projects. This international alliance will be watching the final stages of this case very closely. According to representatives of Human Rights and Environment (DHUMA) of Puno, Peru, the decision that will be presented by the court will be very significant, as it will set important legal precedents for the future of human rights in Peru.